Soon, even "mushroom chairs" could no longer be just in fairy tales. 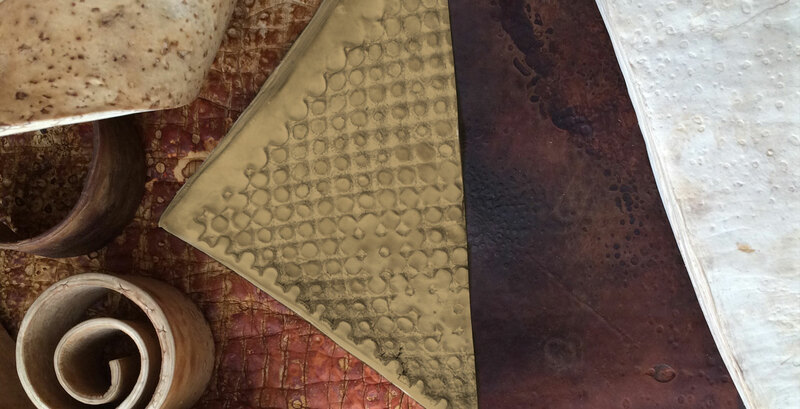 Apart from Modern Meadow, a company that grows leather in the lab, another start-up is giving leather makers a run for their money. MycoWorks is using fungi to produce leather substitutes, through a process that’s cheaper and faster. Fungi leather. Photo credit: MycoWorks. The mushrooms were grown and fed with mostly agricultural waste such as corn cobs and sawdust while altering conditions such as humidity, light exposure, exchange of gases, and temperature in an effort to coax the fungi to grow in different ways, textures, and with varying durability. They even grew the material hard enough to be used as a chair. The company is currently using Ganoderma lucidum, also known as the reishi mushroom (commonly found in Asian remedies and teas) because it has been proven safe for human skin and consumption. While it would take around two years for an actual cow mature enough to cultivate leather, mushroom leather only takes two weeks. In terms of resources needed, it also takes very little to grow the fungi as opposed to the space, food, and everything else needed to get products from livestock. Other animal products are also being replaced by lab grown materials, even meat is being grown from plant materials. Apart from this, mushroom leather is highly sustainable without similar environmental hazards as those involved in processes employed by tanneries—which involve discarding highly polluted wastewater, as well as solid wastes and gases. Ross is hopeful that the material will become a staple in other industries and adapted for products beyond leather, including wood and plastic substitutes.